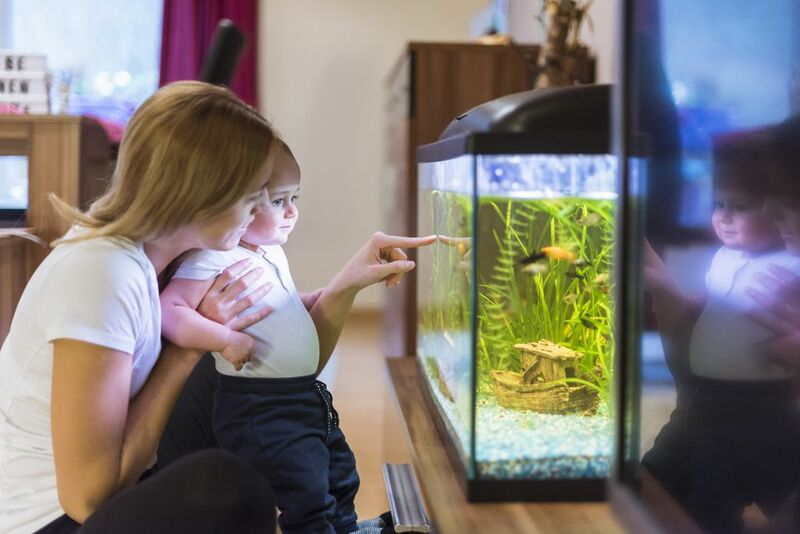 The need for grounding an aquarium has been described by any number of experts. Discussion groups hash over the best methods for doing it. While I agree that shocks can, and do, happen when working with aquarium equipment, I don't agree that grounding is the best way to address the issue. Here's why. A popular ‘solution’ to encountering aquarium shocks is to drop a grounding probe in the water, and place the other end on a metal water pipe or a grounded electrical outlet. Sounds logical, right? Wrong. All that is being accomplished is providing a path for electrical current to flow through. Meanwhile the underlying problem hasn’t been solved at all. Ever wonder why birds sitting on a power line aren’t electrocuted? It’s because the current is flowing through the wire, not the bird. Now if that cute little birdie were to put one of his feet on another power line there would be a new path for the current. The new path goes from one wire to the other wire through the birdie, frying him to a nice golden brown. Let’s say a piece of equipment in the tank is faulty. There is electricity, but no path for the current to flow through…yet. Place a ground probe in the tank and slap the other end on a pipe, and now the current has a path. The current will flow from the problem piece of equipment through the water to the probe and out to the pipe. Thanks to that marvelous grounding probe, the fish are now being subjected to an electrical current flowing through the water. Sure you may be less likely to get a shock if you stick your finger in the water, but the underlying problem of faulty equipment hasn’t been fixed. The best cure is to prevent the problem from happening in the first place. Here are some simple steps to prevent shocks. Power Off - Sounds too simple to make a difference, but it matters. Before peforming aquarium maintenance, turn off the power to equipment and unplug all the cords from the power outlets. No electricity is a sure fire way to ensure you don’t get a shock. The same holds true if you notice something that appears broken, such as a heater. Suppress the urge to quickly reach into the tank and yank out the offending equipment. Always power off first! Check Equipment - Regularly check all your aquarium equipment for cracks, frayed wires, or broken bulbs. That includes: heaters, air pumps, bubblers, filters, lights, and any decoration that has a power cord or batteries. If you find damage, it’s wise to replace the item entirely. Use a GFCI - If possible, plug equipment into a GFCI (ground fault circuit interrupter) outlet. A GFCI monitors the amount of current flowing from hot to neutral in the outlet. If any imbalance is detected, it trips the circuit, thus cutting the current flow. The monitor can sense an imbalance as small as 5 milliamps, and shut off the current in a fraction of a second, keep you from becoming a crispy critter. You may have GFCIs in your kitchen and bathroom, but you can upgrade any standard outlet. You can also purchase GFCI power strips and outlet plugins. Use a Drip loop - This is a very simple, bit rarely implemented tip to avoid accidents. Drip loops cost nothing but your time, and ensure water doesn’t travel into electrical outlets. Mount Power Strips High - Don’t lay power strips on the floor below the tank where they are asking for water to flow into them. Instead mount them as high as possible, and position them so that you can have drip loops. Better yet, purchase a GFCI power strip. Insulate Yourself - Standing on a rubber mat, and/or wearing rubber soled shoes when working on the aquarium will help avoid shocks. Keep It Dry - Another no-brainer, but it's amazing how often people work in or around an aquarium without a towel in sight and water dripping everywhere. Keep the area dry, and have plenty of towels on hand in case you need them. In summary, skip the grounding probe, and use common sense methods to avoid electrical accidents in the first place.